For as long as I can remember, I have been paddling in open canoes, or ‘Canadians’ as we used to call them when we were kids! It is down to the safe design of them and their buoyancy which allows kids (obviously wearing buoyancy aids) a real taster of the waterways and the excitement of exploring by canoe. 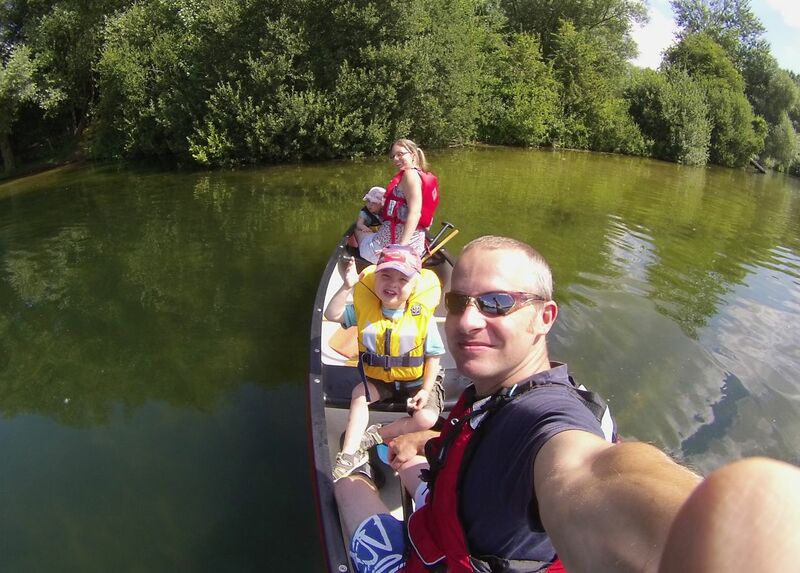 During the summer this year, I took the family out for a paddle on a beautifully clear Cotswold lake to do just that; introduce them to canoeing. 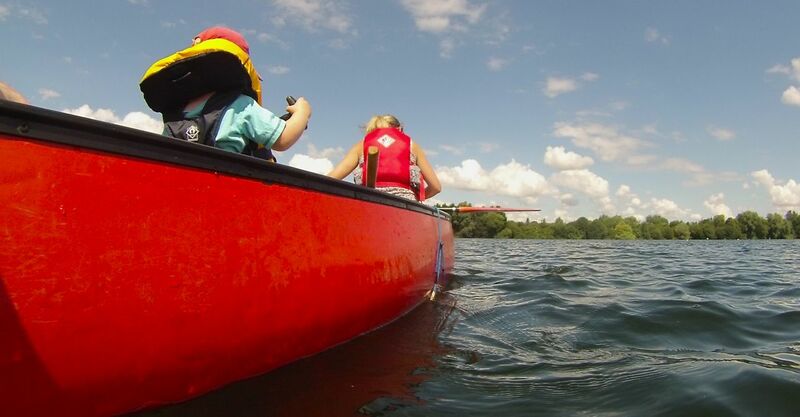 Arriving on the shore or a clear lake on a warm summers day, knowing that you and your family are off for a short adventure is a feeling you can’t quite explain. 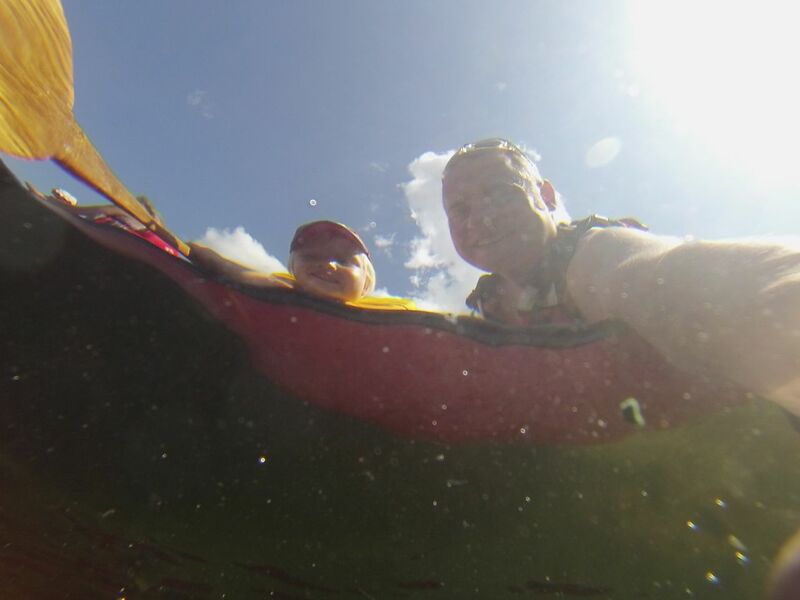 Excitement from the children rubs off, and getting two children under 4 years old into buoyancy aids adds to the fun. 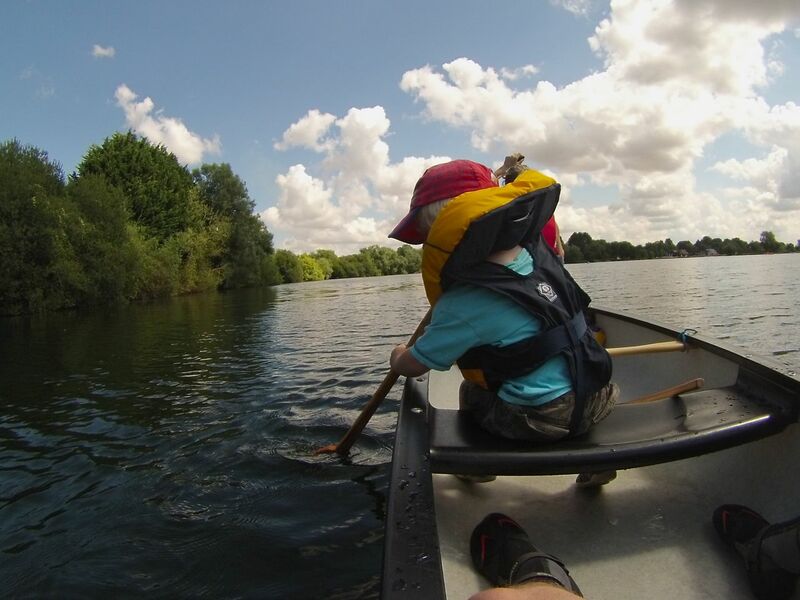 We tentatively got in to our canoe for the afternoon with mum in the front with my daughter, a slightly worried one year old, and dad (me) in the back with my son, a very independent 4 year old who ended up with his own paddle. Today he was going to learn to paddle! We headed off around the edge of the lake, across clear waters that revealed weed beds and a variety of fish. Both kids were glued to the water, somewhat amazed by what they could see. The wonder in their eyes of what they might see next was great to see and reminded me of past trips as a child. Our one year old was also very excited about being able to paddle up close to the ducks whilst they bobbed about on the lake. Teaching a 4 year old to paddle was fun too, and although I got a soaking from a wayward paddle, he seemed to be loving getting involved. We made a point of skirting around the outside of the lake as it is often where you will see more of the wildlife, and it didn’t disappoint. The kids were soon pointing out dragonflies, fish and waterbirds, which was topped off by a Heron flapping out of the trees right in front of us, much to the amazement of the young explorers. We finished our paddle with an ice cream back at the jetty. It was a lovely family paddle with lots to see and two very keen paddlers! 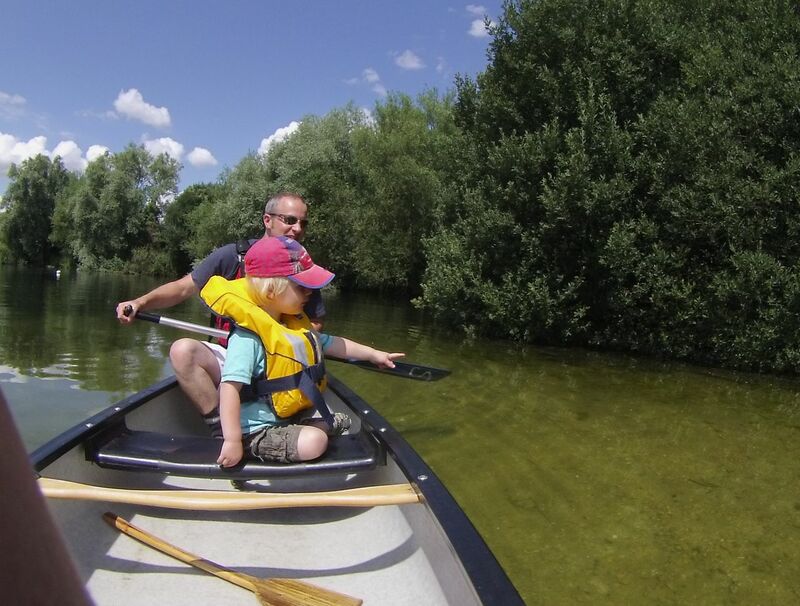 Exploring lakes in an open canoe, whether under 4 years old, or older, is a great way to get up close to the wildlife. Paddling around islands and backwaters at a leisurely pace is very relaxing. You can hire open canoes on all kinds of still waters in the UK, and being in control of them often takes just a short lesson from the person hiring them. Always make sure you have a buoyancy aid on yourself and kids at all times when on the water, and stick to the assigned areas for paddling.